So last summer I got an email out of the blue from a man called John Rullo, who works for Derian House Children’s Hospice in my home county of Lancashire (www.derianhouse.co.uk). He was a man with a dream – to create a collection of bedtime stories, both to entertain the children in the hospice and to sell as a fundraising tool. Meanwhile some other fantastic authors – including Sarah Rubin, Natasha Desborough, Jamie Thomson, Jonathan Meres and Jamie Thomson – also contributed wonderful stories for the collection. As the stories flooded in, John got busy gathering an incredible cast of people to read them: celebrities like Dave Spikey, Ted Robbins, Julie Hesmondhalgh, Jane Horrocks and a couple of England rugby stars; as well as a whole bunch of other people with links to Derian House. I was lucky enough to have mine read by one of my comedy heroes, Steve Pemberton from The League of Gentlemen. And, as you’d imagine, he did an amazing job! 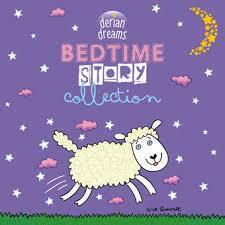 So, after months of hard work from John and everyone else who made it happen, behold the Derian Dreams Bedtime Story Collection. Please please please please please thank you please please pretty please thank you please do follow the link to itunes below and buy one of the stories or, even better, the whole collection. You’ll be helping out some desperately unwell children and their families. And you’ll be thoroughly entertained as well I promise!